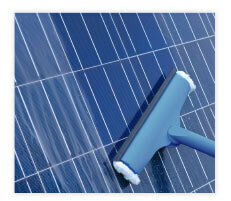 Are you seeking the most professional external cleaning services in Sydney? 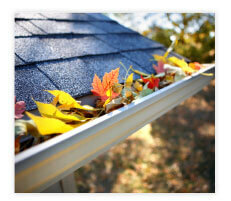 Fresh has you covered, supplying gutter, window and solar panel cleaning throughout the metropolitan area. Whether you live in the Eastern Suburbs, the North shore, Sutherland Shire, the Inner West or South Sydney, we can come over and make everything spotless, removing debris, grime and unwanted dirt from the outside of your home or office. We also offer some truly competitive pricing for all residential and commercial exteriors, allowing you to clean your premises without having to pay a fortune. To get a free quote, call us on 0424 318 619 or fill in our online form today. When cleaning your home or office, we offer standard techniques as well as our unique pure water technology. 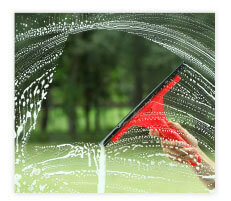 There is no better method for window cleaning in Sydney as we guarantee a spotless, pristine surface every time. By filtering out all dissolved solids, Fresh eliminates those unsightly streaks found after washing your windows with regular tap water. This, we offer a better clean without the need for harsh chemicals. Add in some extensive local area knowledge and you have yourself a cleaning company that really knows its stuff no matter the specs of the job. More information about all of our services can be found on the appropriate sections right here on our website. 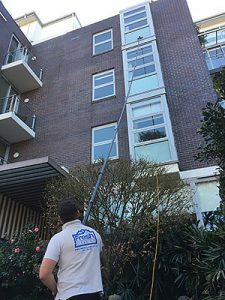 Whether you are interested in our window cleaning services Sydney, Sydney solar panel cleaning services, or Sydney gutter cleaning services, you will find all the details by clicking on the tabs above. You can also call up our staff if you have any further questions. 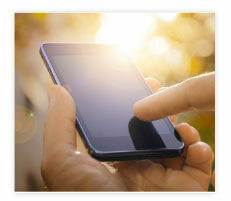 At Fresh, we take pride in offering you excellent service without a hefty price tag. Whether you just want some debris removed from your household gutters or you want your entire office exteriors washed, our team are happy to cater to all of your needs. “I was completely blown away with the quality of the window cleaning and all round work performed by Nathan at my house. He worked very hard and fast all day and I was so impressed that he completed the job in the time it took, which was amazing. I will definitely recommend ‘Fresh Cleaning’ to all my friends and family and also the estate agents and hope to be able to engage you guys again regularly.” – Sandra, Rose Bay.